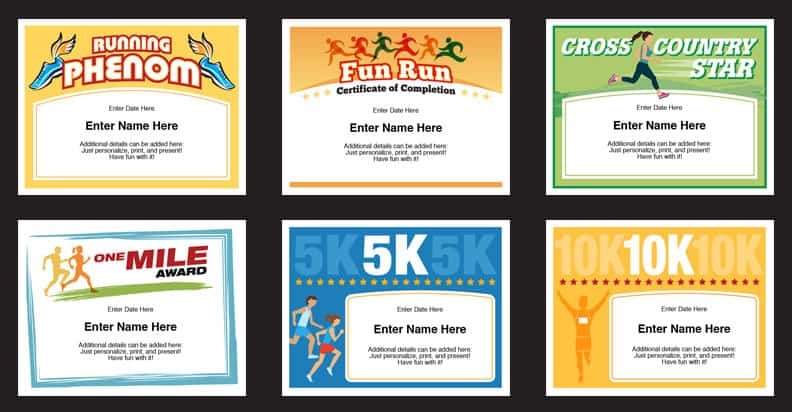 Running Certificates Templates – If you or your organization is hosting a running event, check out these certificates to award to participants and winners. You can type in names, dates and other information in the text fields, print out and award. Very quick and very easy! Participants will love them. The completed certificates look great posted on refrigerators, framed, on bulletin boards, posted in cubicles and just about anywhere. The running certificates provide a great keepsake of the event and remind folks to come again next year. With purchase, you’ll receive a link that will enable you to instantly download the PDF file featuring these 6 runner certificates. PDFs work on Macs and PCs. Just make sure you have the latest version of Adobe Reader (which is available for free). If you’re on a Mac, open Adobe Reader first and then go to the certificate bundle (otherwise, the default reader is preview). When it comes to providing a low cost way to recognize runners, a printed certificate is a perfect solution. Use these templates race after race, year after year. Check out these runner’s tips from Runners World. These running certificates are a great way to share some fun and put smiles on faces. Use them year-after-year and make your race recognition stand out. These can also be used for track teams, cross country teams and running clubs. When’s the best time to award these running certificates? People choose different times based on what works best for them. Some choose to wait till the next group meeting, e.g. practice, while others award them right on location after the race. Use your best judgement. 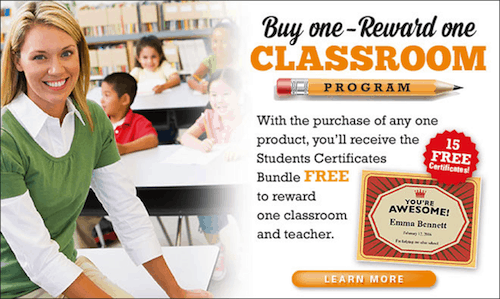 Purchase the Running Certificates Templates, and receive the Classroom Bundle FREE!